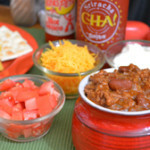 Follow our easy, step-by-step, photo illustrated recipe for making this delicious, meaty Chili. It’s lightly seasoned, so everyone can add the heat and toppings they desire. The whole family will love this one, and it’s so quick and easy to make. We’re sharing a special recipe from some new friends that will be a hit for your next get together, large or small. Printable recipe included. 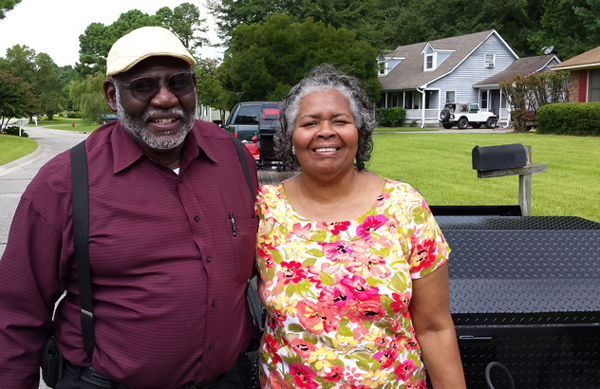 I recently had the great pleasure to meet Rob and Ilean Howard, when my older brother and I, delivered one of his pig cookers to the Howards pastor and church in Wilmington. They were all just super fine folks, and it was a pleasure to spend a little time with them on a cloudy Saturday morning. It was registration day for the college in Wilmington, so we got caught up in a little bit of traffic on the way down. We might have been a few minutes late for our scheduled appointment, but I think it all turned out well. This cooker was for the church, and it was great to see everyone smiling once we arrived. My brother always says that we meet some of the nicest people with our deliveries, and I wholeheartedly agree. I’ve got in the habit of asking the man of the house, just what one dish his wife prepares that is the absolute best. Most will think about it for a few seconds, and most of the time they will say that picking out just one dish is a bit hard to do. When I posed this question to Mr. Howard, he didn’t hesitate a bit in saying “her Chili.” He knew right away what his favorite was. I asked him for a bit more information, and then asked Ilean if she would be willing to share her recipe with me for Taste of Southern. She said it was quite simple really, and that she didn’t mind sharing it. The recipe is pretty simple, using just a few ingredients. Ilean pointed out, that using the right seasoning mix was very important for the recipe. She had her favorite, but she said sometimes it could be a bit hard to find in the grocery store. In talking with her, the one thing that I really liked about this recipe, is that it’s not HOT. I never have understood why people like to make Chili so hot that you break out in a sweat after the first mouthful. Now, if you like your’s that way, please don’t hold it against me that I don’t enjoy mine prepared that way. Personally, I can’t handle it, and don’t care to have heartburn for the next couple of days after eating super hot stuff. It’s just me. Ilean says she likes to serve a little hot sauce on the side, so family and guests can increase the heat to their desired taste. I like the way she thinks. This recipe would be great for that next family get together, or for some tailgating at that next big game. You can have it ready to serve in just under an hour, so how cool is that? 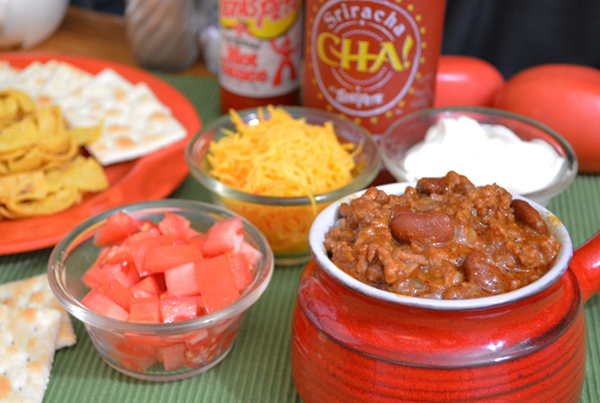 If you’re ready to give this Howard Family Chili a try, then let’s get in the kitchen. In other words… Let’s Get Cooking! 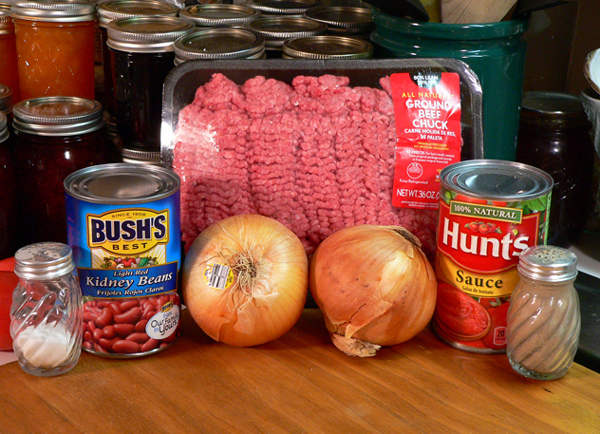 Howard Family Chili Recipe: You’ll need these ingredients, plus some Sauers Chili Seasoning. 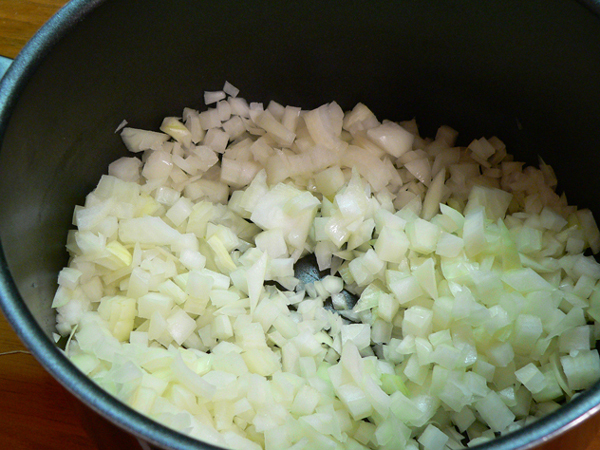 Place the Onions in a large sauce pot, on Medium heat on your stove top. 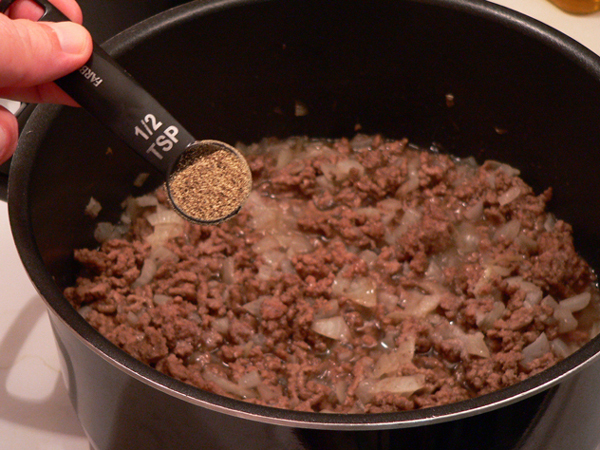 I like to crumble up the beef as I’m adding it into the pot. Once it starts to brown, I can break it up even more with a large spoon. Because the Ground Chuck has such a low fat content, we will not need to drain off any excess grease from it once it browns. 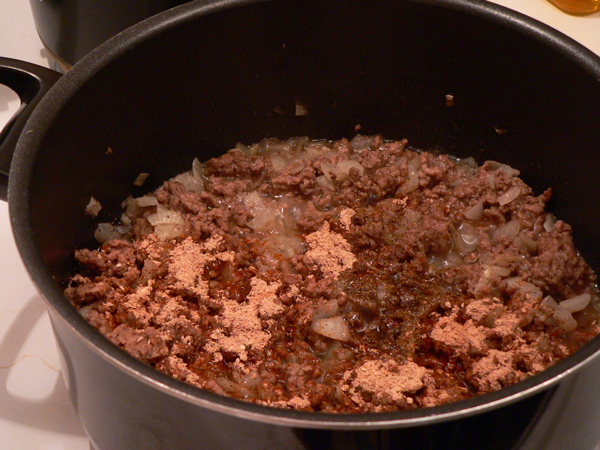 If you substitute regular ground beef, you might want to brown the meat first, drain off most of the grease, then add the onions. 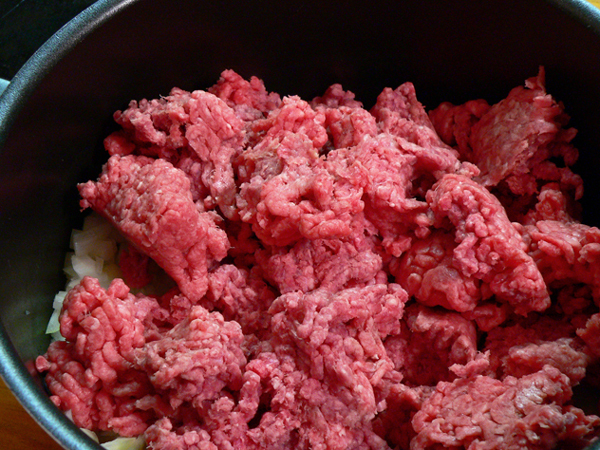 Keep a close eye on the beef and onions as they cook. You’ll need to stir this pretty often so it doesn’t stick to the bottom of the pot and burn. 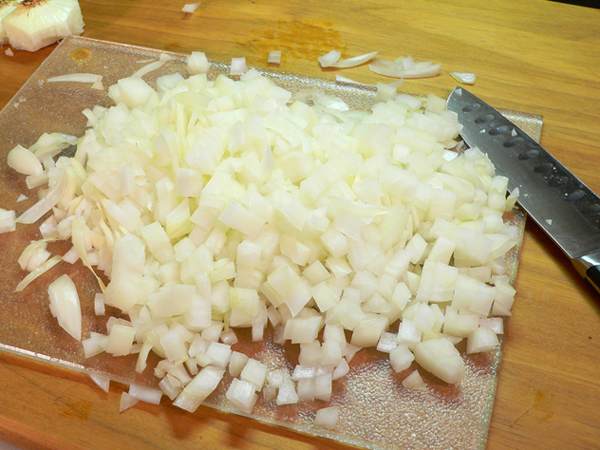 The onions need to be cooked until they are translucent, and the beef until it’s browned. 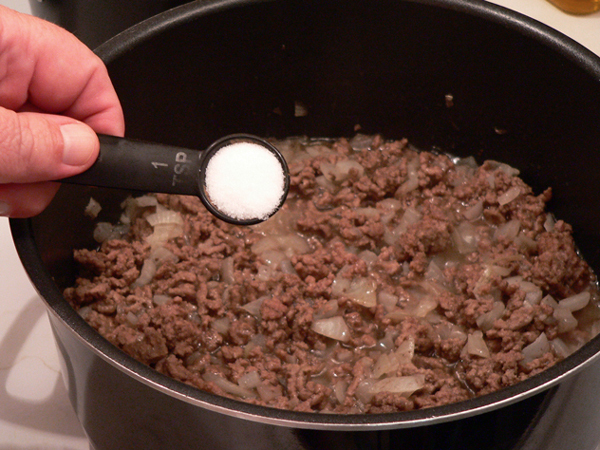 Once the beef has browned sufficiently, add the Salt. Stir the spices into the meat and onions. Stir this in, and let it simmer for about 10 minutes before adding the beans. 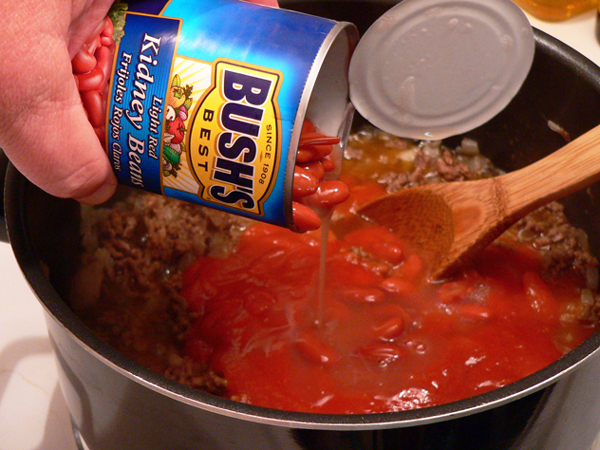 Add the Light Red Kidney Beans. Ilean’s recipe didn’t say whether to drain the liquid off the beans or not, so I just left most of it in and added that to the beef. REDUCE the heat down a notch or two, and let the chili simmer for about 30 minutes longer, or until the beans are as tender as desired. Ilean serves her Chili with all the toppings on the side. She suggests diced tomatoes, sour cream, corn chips, and cheese. She also likes to leave the hot sauce on the table, so each guest can season their chili bowl to their own perfection. Did I mention that I like the way she thinks? 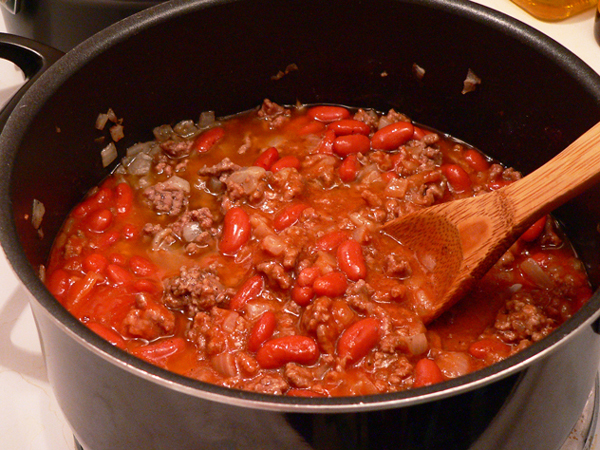 Follow our easy, step-by-step, photo illustrated recipe for making this delicious, meaty Chili. It’s lightly seasoned, so everyone can add the heat and toppings they desire. The whole family will love this one, and it’s so quick and easy to make. We’re sharing a special recipe from some new friends that will be a hit for your next get together, large or small. 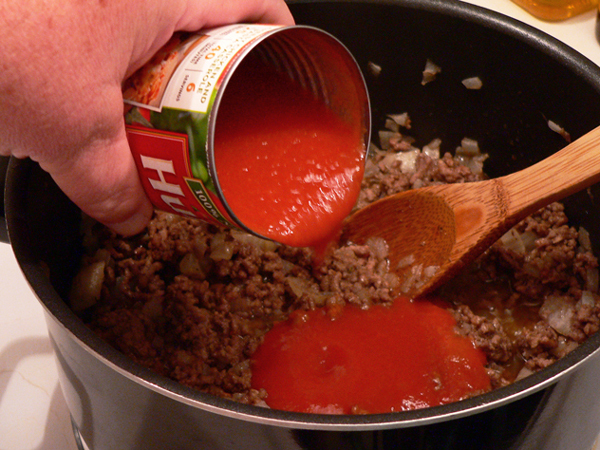 Place a medium sauce pot over Medium heat on stove top. 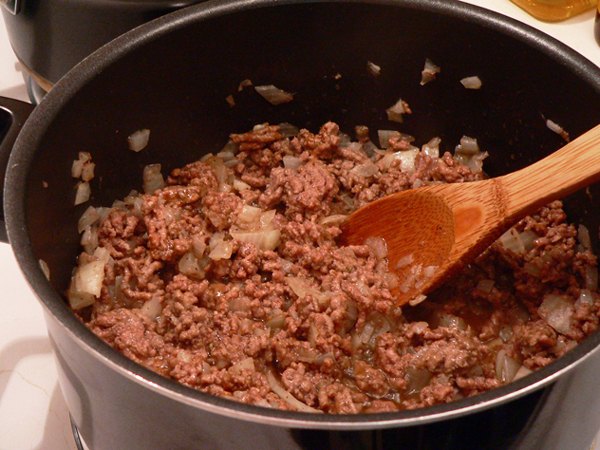 Add chopped onions and ground chuck. 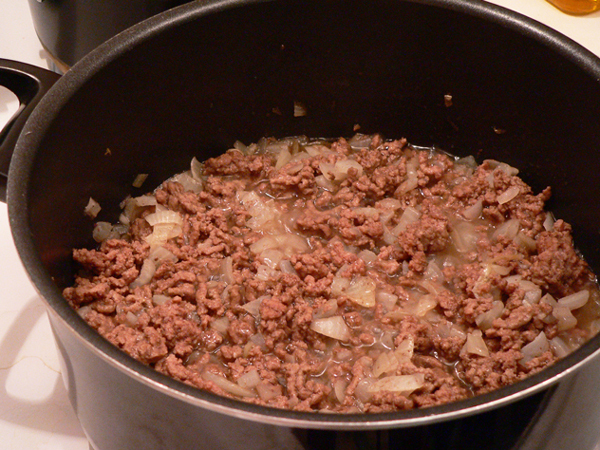 Allow meat and onions to cook thoroughly, stirring often. Stir ingredients well to mix seasonings. Add tomato sauce, let simmer about 10 minutes. Stir again to combine all ingredients. REDUCE heat and simmer 20-30 minutes, stirring often to prevent sticking. Your Comments: Think you’ll try our quick and easy chili recipe from the Howard Family? I’d love to hear your comments about it. It will only take a minute or two for you to share your thoughts with us in the Comments section below. Please note that all of our Comments are moderated. That just means that I personally read each and every one of them before they are approved for our family friendly site here on the Internet. Your comment will not appear immediately, but I’ll do my best to get it posted online as soon as possible. I also try to reply to as many of your comments as I can, so be sure to check back later for that. I do appreciate you taking the time to share your comments with us, and I’ll look forward to hearing from you. Thank you in advance. Hi Steve, I went to the Sauer site to order the chili seasoning, but there are several choices, is it the regular plain Chili packet? I know it would not be the hot one, but there are a few others and I want to get the same kind needed for the recipe. thank you! Hi Steve, Just checking in to say hi and thank you for the chili recipe. The weather is getting a little cooler now and a good pot of your chili will help to keep the chills away. Hi Steve. Thanks for the recipe from your new friends. I look forward to trying it out.